As mentioned above, there are several major projects that we will begin between now and the end of 2015. For example, the property management team is in the process of reviewing designs for new exterior signage. All signage on the building will be replaced over the next six months. 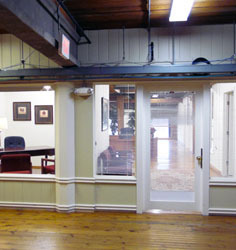 Additionally, new, updated floor plans for all of our office spaces will be available via CAD. This will allow anyone interested in a particular space to be able to see digitized floor plans which can be manipulated for designing build-outs. Our hope is that these various improvements and repairs will provide upgraded amenities for everyone, while still preserving MTP’s historical roots as a former textile mill.